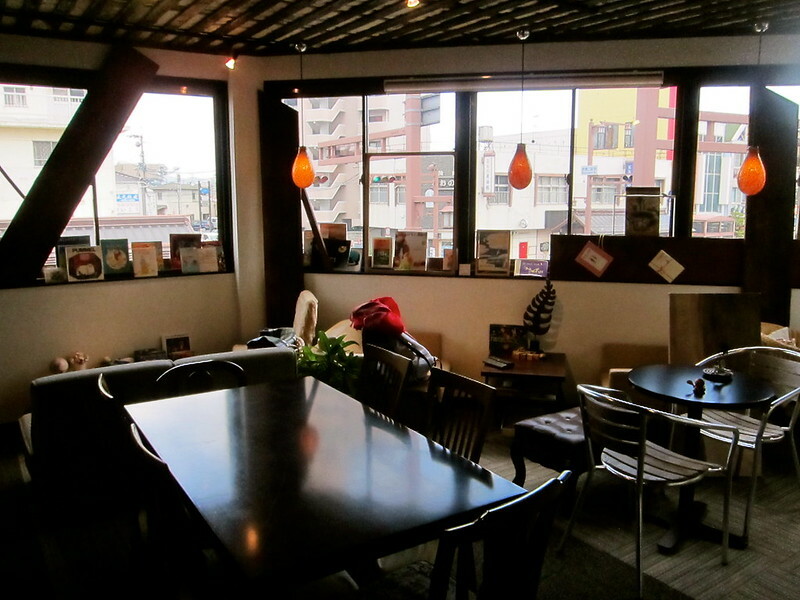 In my quest for awesomely local cafes in Japan, I have the good fortune of living a mere two hours from a city which is famous for its eccentric locally grown cafes: Hiroshima. 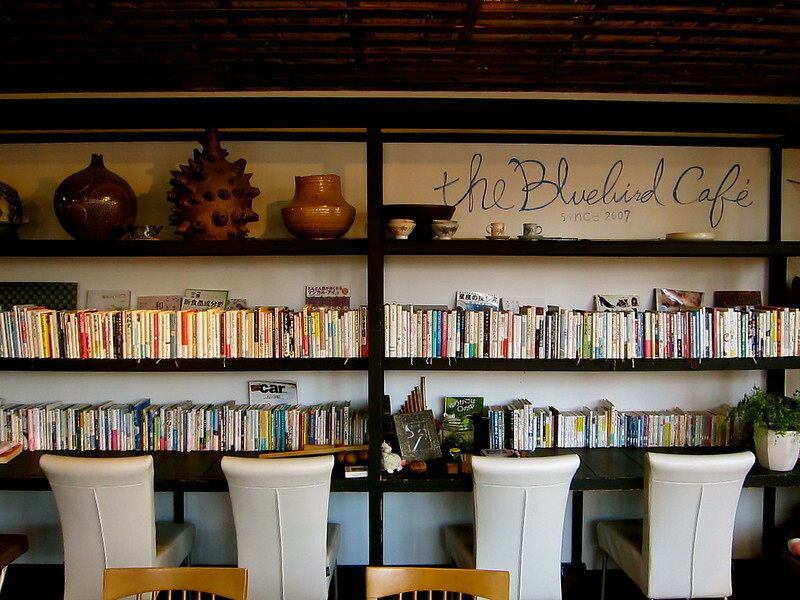 While the city boasts many wonder options for cafes, my favorite is a little joint a half hour form the city, called the BlueBird Café. Nestled right in front of the JR Miyajimaguchi train station, this gem alone is worth the half-hour, 400-yen train ride from Hiroshima Station, and is definitely a must-see if you are going to Miyajima Island. 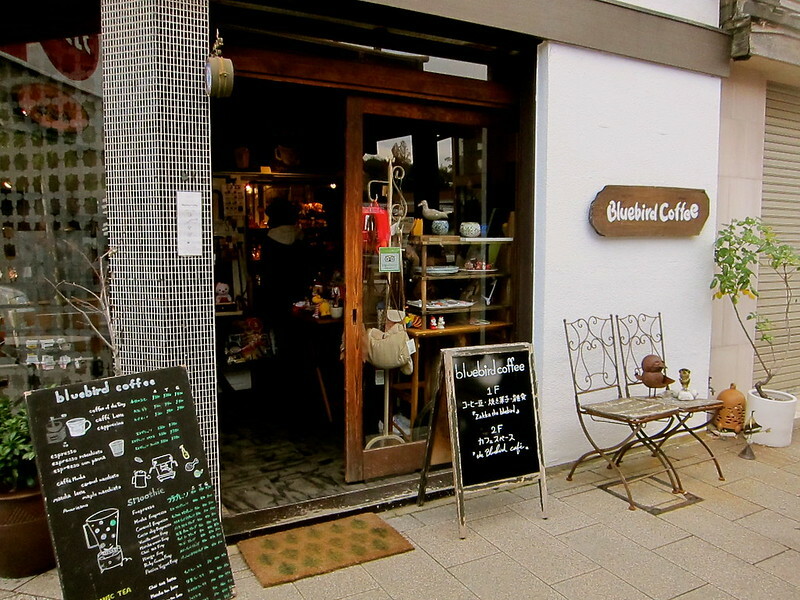 The first floor of the café is a small shop selling quirky goods. From the street, it almost doesn't even look like a café. The order counter is tucked away in the corner just behind a huge display of homemade pastries. 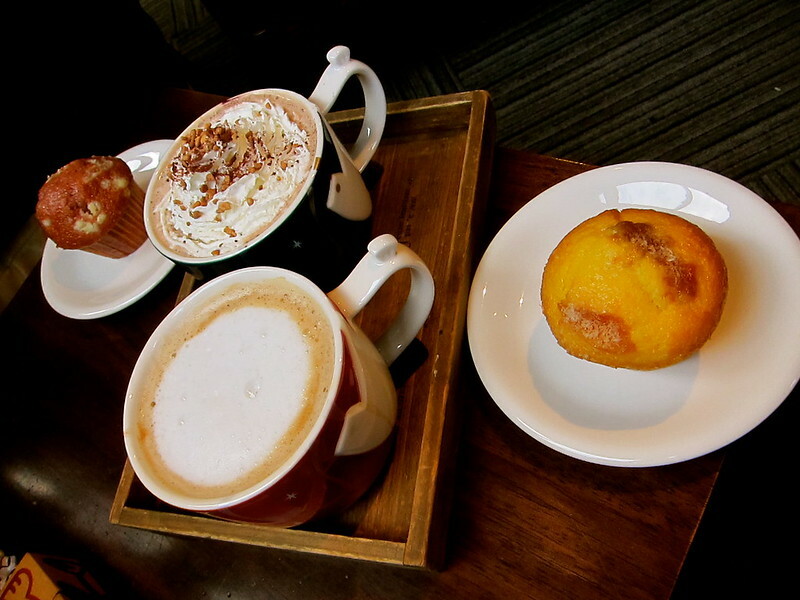 The menu boasts an extensive offers of unique lattes and other espresso creations. After ordering guests walk up the narrow staircase to the second floor, with desks, tables, and couches. If the comfortable seats and laid-back atmosphere isn’t enough to keep you lingering, you could probably spend an entire day just exploring the decorations on the second floor. From the newspaper ceilings, to the Japanese poetry books, to vintage children’s toys, there are certain a lot of distractions to keep you occupied. 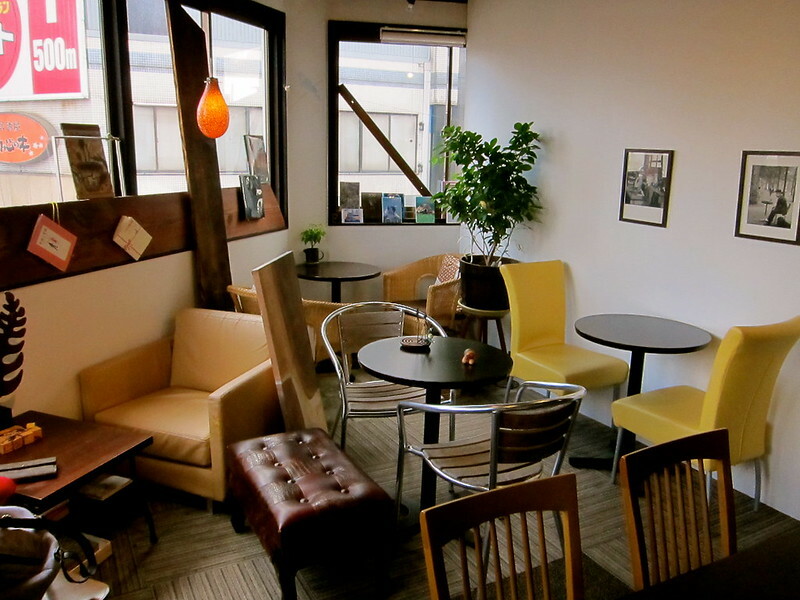 It is a cozy and quiet atmosphere. The customers of this café tend to be pairs of women, or the occasion small groups of teenagers will be quietly studying on the large main table. However, there is one guest who I always look forward to seeing, the owner’s cat, who is constantly occupying at least one of the cushions in the café. 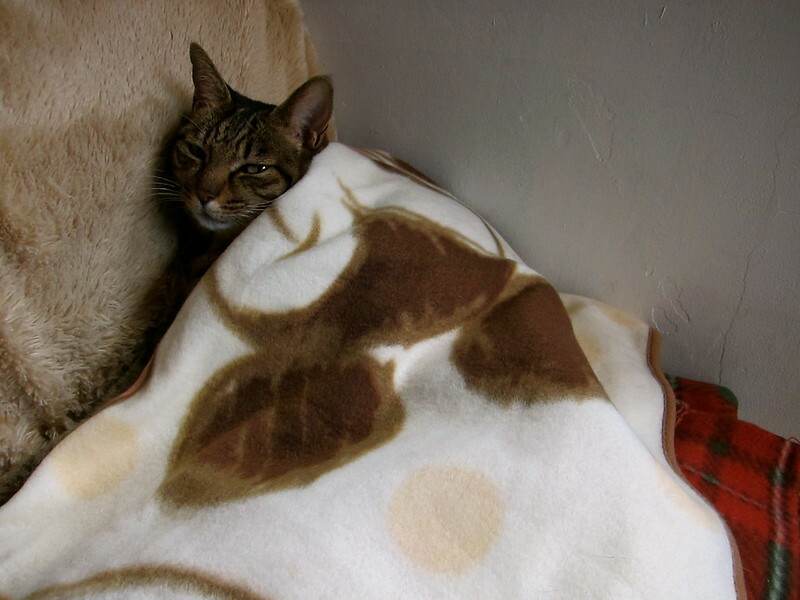 On this particular day, she even had her own blanket. Definitely. In addition to the standard offerings of Hazelnut, Vanilla, etc, they even have seasonable specials line Honey or Peppermint. Check. Since the counter is downstairs, you are out of sight of the staff. 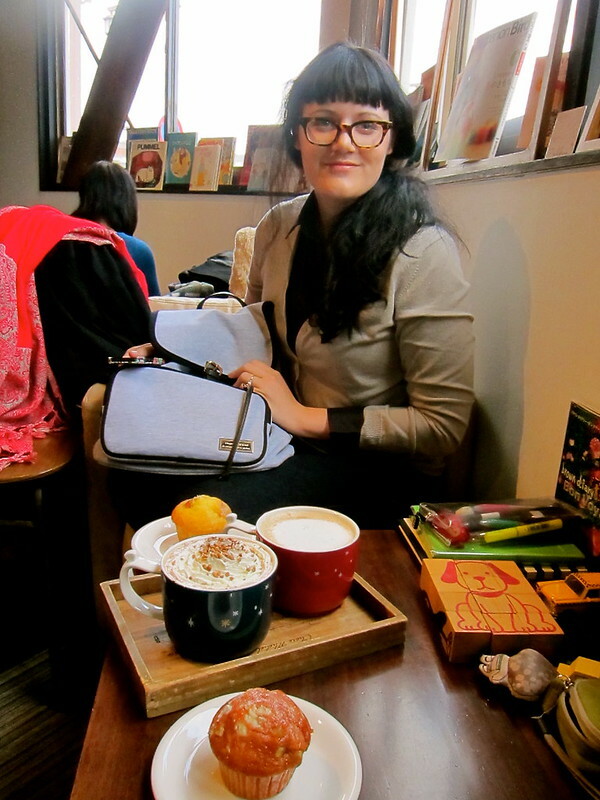 They only come upstairs to serve the drinks or pastries, other than that you are totally alone. Check. There are small tables designed for two, but it's not weird if one person sits there. Absolutely. This place is chill. It's easy to spend an entire day here relaxing, eating, and reading.